The Craigieburn Valley Ski Area is one of the ski fields within easy reach of Christchurch, attracting tourists and locals alike. The rope tows that carry skiers up the slopes are a relic of its origins as a club ski field. 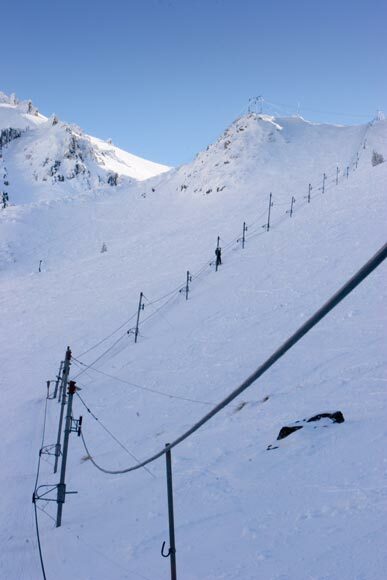 Commercial fields, by contrast, have only chair lifts or T-bars.